I wish these people and all ike them would give up and go away. 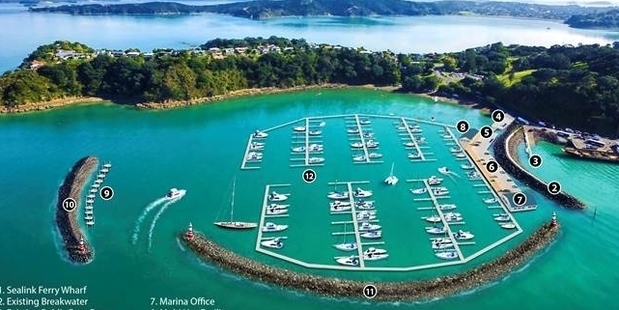 First they put the island through a long and expensive fight to prevent an ugly monstrosity of a marina in Matiatia Bay--a fight they rightly lost hands down. But now something even more monstrous is being proposed at Kennedy Point. Yet again it is over-the-top vandalism, this time of Anzac Bay.